Bette Landon, 92 of Loup City, NE died Monday, November 12, 2018 at Rose Lane Home in Loup City. Funeral services will be 10:00 a.m. Saturday, November 17, 2018 at the First Baptist Church in Loup City with Pastor Delmar Unruh officiating. Burial will be held at the Evergreen Cemetery in Loup City. Visitation will be from 5:00 p.m. to 7:00 p.m. Friday, November 16 at Higgins Funeral Home in Loup City. Memorials are suggested to the new Loup City Fire and Rescue Hall or donor’s choice. Bette I. (Jensen) Landon was born July 17, 1926 in Sherman County, Nebraska to Chris and Mary Alice (Johnson) Jensen. Bette was raised on a farm west of Loup City, later the family moved to Loup City. Bette attended Loup City Schools where she graduated with honors. After school she began her life-long career of teaching. She married Don Landon on June 2, 1948. The couple made their home on a farm north of Loup City. They hosted many exchange students who they considered their adopted children. 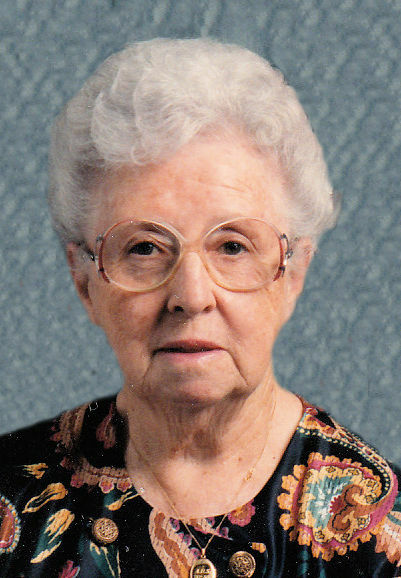 Bette was a devoted member of First Baptist Church in Loup City. Her many years of faithful service in the church included playing the piano, teaching Sunday School and leading youth groups. She had a deep love for her Savior, Jesus Christ. Bette is survived by her sister, Carol Kuhn of Loup City and many nieces and nephews. She was preceded in death by her parents; husband, Don; sister and brother-in-law, Janet and Bob Mostek; brother-in-law, Ronald Kuhn; sisters-in-law, Erma, Alta, Florence and Dorothy Landon and nephew, Dave Kuhn.